Home Book Blitz Buoni Amici Press Kindle Scout TL Alexander Book Blitz & Giveaway - AKA by TL Alexander - Kindle Scout Vote today! 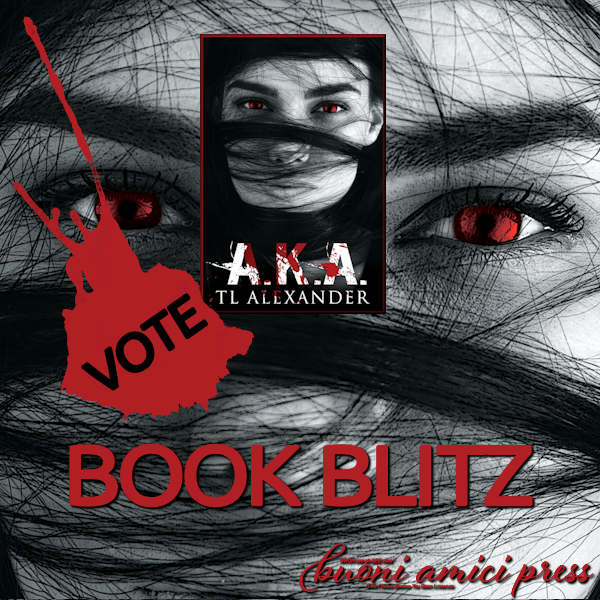 Book Blitz & Giveaway - AKA by TL Alexander - Kindle Scout Vote today! A.K.A a romantic suspense from the author of the smexy Layers Series, TL Alexander. A.K.A. has been chosen by Kindle Scout. Yahoo! What is Kindle Scout? It’s a place where readers help decide if a book gets published. Selected books will be published by Kindle Press and receive a 5-year contract. So dear readers, I’m asking for your help. Go to https://kindlescout.amazon.com/p/1KRK9HLHAD43Q. Read the book introduction and the excerpt. If you like what you see, please nominate A.K.A. After you nominate, don’t forget to add your name to my newsletter for a chance at winning a signed copy of A.K.A. and a $25 Amazon gift card. Hurry campaign ends July 10 2017.